A message. A key. A mirror. A secret world unlocked. Lena has lived her whole life near the beach, walking the shore, breathing the salty air,swimming in the cold water, and watching the surfers rule the waves. As her sixteenth birthday approaches, Lena vows to learn to surf. Her father forbids it. But something Lena can’t identify at first—an ancient, powerful magic—keeps drawing her to the water. One day, she finally catches sight of it: a beautiful woman, with a silvery tail. 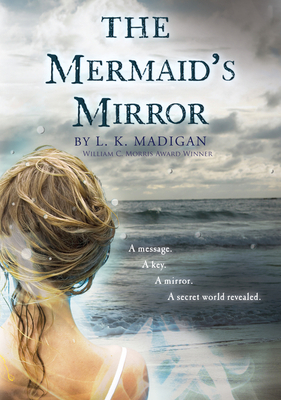 And what Lena sees in the mermaid’s mirror will change her life forever.